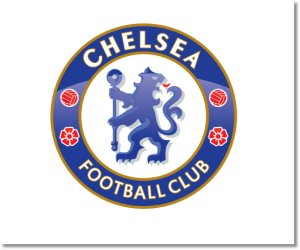 Premier League Preview for Chelsea v Manchester City along with Predictions for every result in the EPL. Follow up each match with results and video highlights posted later in the week. Coming in to week nine Chelsea and Manchester City are separated by a single point with Chelsea level with Liverpool on 17 points sitting in second place while Manchester City are in fourth level with Tottenham on 16 points. Chelsea come in to this weekend winning 11 of their last 12 home EPL matches while scoring at least two or more goals in nine of those matches. They have also scored 14 goals and allowed only five (tied for second fewest). Chelsea have dominated possession this EPL season with a 56% average with an 84% pass success rate. They have a league leading 18.3 shots per game average while scoring 1.8 goals per game for a 9% conversion rate. Manchester City has scored at least two goals in nine of their last ten Premier League matches and have a league high 18 goals scored while allowing nine. Manchester City’s conversion rate of 16% leads the league along with their 2.5 goals per game from 15.6 shots average. They have also dominated possession with an average of 59% while also converting 86% of their passes successfully. My prediction for Sunday’s late match is a close draw. There will be goals in it and I can’t see there being a clean sheet for either team. Chelsea will need to shut down Manchester City’s strikers who have been prolific, especially Sergio Aguero. For Manchester City, they need to look at dominating the midfield and not allowing Chelsea to get forward. It should be a good match for everyone to watch.